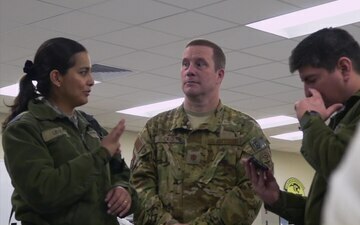 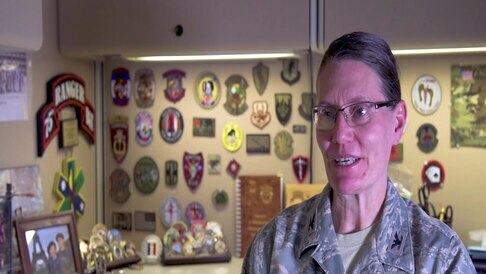 Col. (Dr.) Stacy Shackelford, director of the Joint Trauma System, shares her experience as a deployed trauma surgeon at Craig Joint Theater Hospital and the importance of working together in a joint environment providing optimal care downrange. 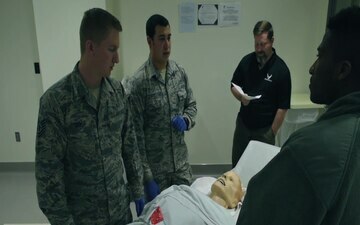 More than 125 Airmen from the 59th Medical Wing at Wilford Hall Ambulatory Surgical Center took part in a mass casualty exercise on November 28, 2018. 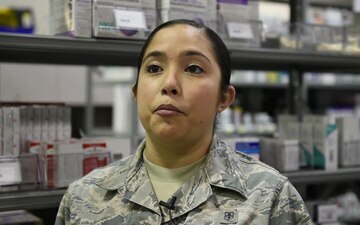 Tricare beneficiaries around the world who smoke cigarettes and want to quit now have another source to help them. 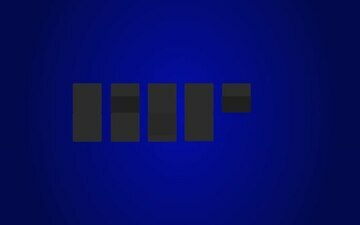 Parents expecting a new child, even experienced parents with more than one child already at home, can feel overwhelmed at times. 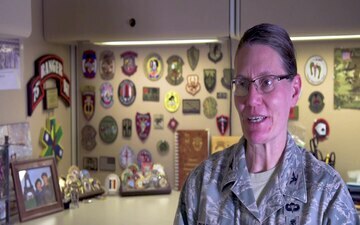 Helen Wells, a 94-year-old volunteer librarian assistant at the 59th Medical Wing, recently celebrated 53 years of service. 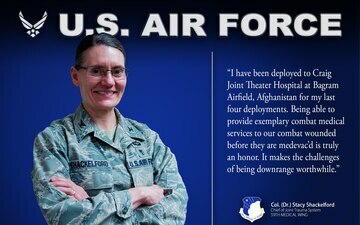 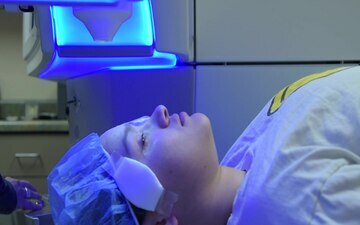 U.S. Air Force Col. (Dr.) Stacy Shackelford shares what motivates her as a deployed medic. 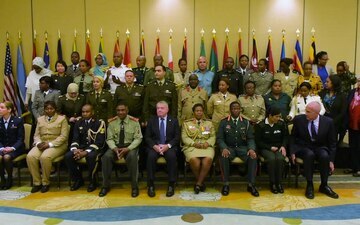 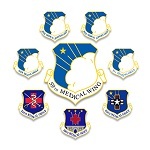 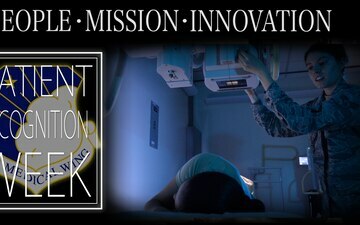 The 59th Medical Wing celebrates the service of the nation's doctors. 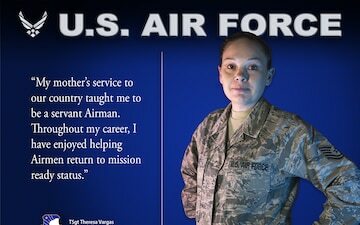 Tech Sergeant Theresa Vargas shares her motivations for joining the Air Force and serving as a 59th Medical Wing Warrior Medic. 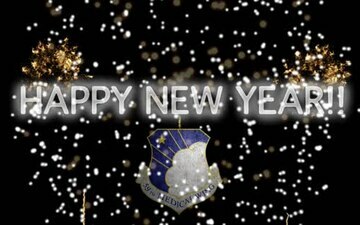 An animation wishing the 59th MDW a happy new year. 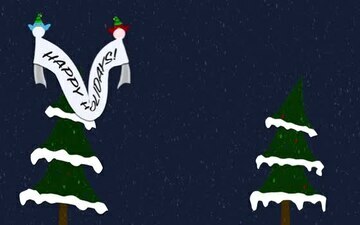 An animation wishing the 59th MDW a happy holiday season.